May | 2007 | Ipoh Mali Talak Sombong! Agreed to meet with Jian and Durianberry at 7.00am the next day (4th May) for breakfast at Foh San dim sum but again, I OVERSLEPT! I set the alarm on my phone, went to bed and someone turn if off after I was asleep. The result: I woke up at 9.00am, scolding everyone for turning off my phone (don’t care who was the culprit), make a frantic call to Jian (more like an apologise call) and running around to wash my face, shower and get changed. 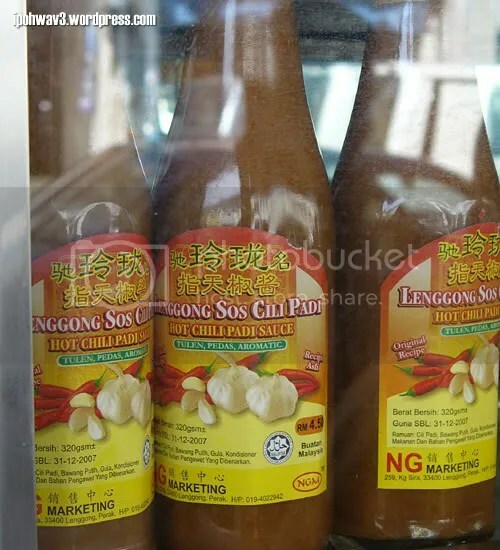 Behold, the hidden gem… Lenggong’s very own cili padi sauce! 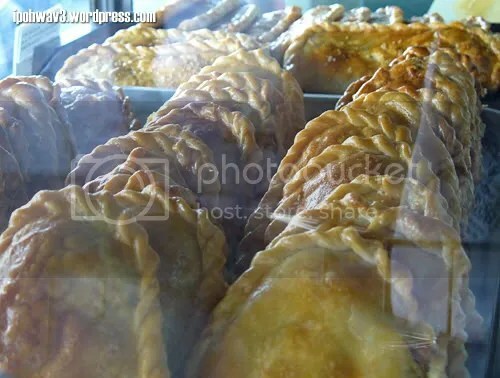 My first encounter with this babe was few months back where my dad bought them during his trip to Lenggong and my whole family were hooked on it since (kick aside the poor Kg. Koh chilli sauce, lol). Durianberry bought 1 bottle of it. 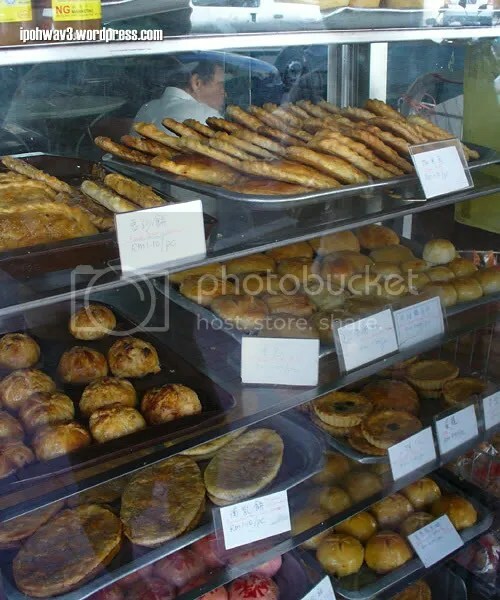 Trays full of homemade cookies and cakes… Lou poh peng (wife’s biscuit), kaya puff, kai dan gou (egg cake) etc. Jian bought the 6pcs of the egg cake. Rows of luscious kaya puffs. 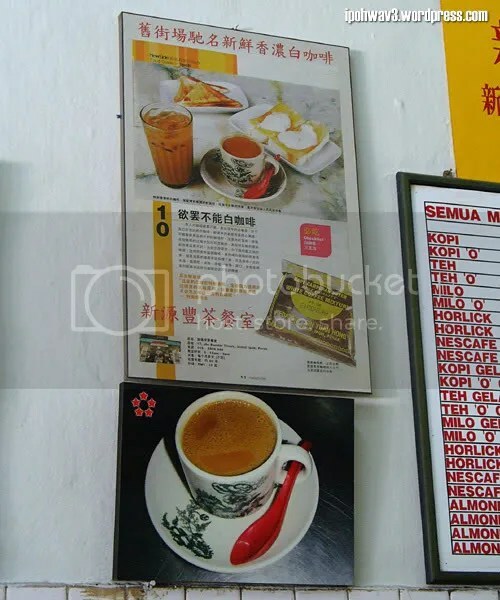 Sun Yoon Loong, Sun Yuan Foong and opposite them, Nam Heong… all claimed to serve the original Ipoh Old Town White Coffee. Our target for the day – Sun Yuan Foong! 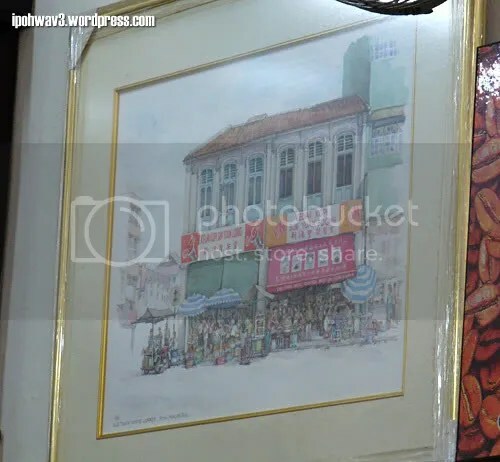 Painting of the two shops… Look so alike. Alright, bring the food on, I’m hungry! 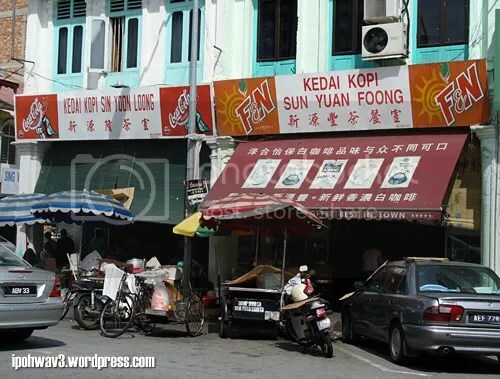 Of course we wouldn’t want to miss the famous Ipoh Old Town White Coffee. Tastes slightly bitter and sweet at the same time, with nice coffee aroma. Just nice. The girls were stuffed with their dim sum so I ordered one set of toasts with half-boiled eggs. 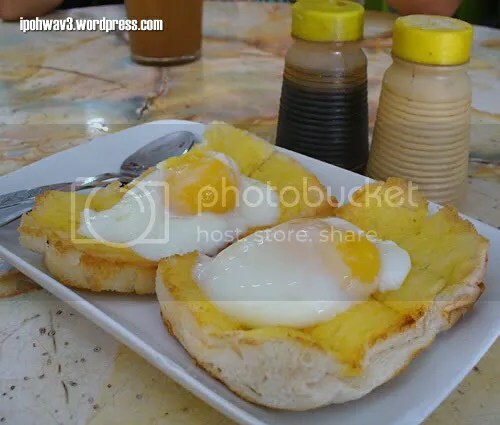 Look at those luscious, pretty yet cholesterol inducing egg yolks…! Dash some pepper and soy sauce, take it up high and bite it…. Ooooo…. Oh, must close the eyes for better effect… wahahaha…. It’s still early for lunch, so I decided to bring them to some attractions. 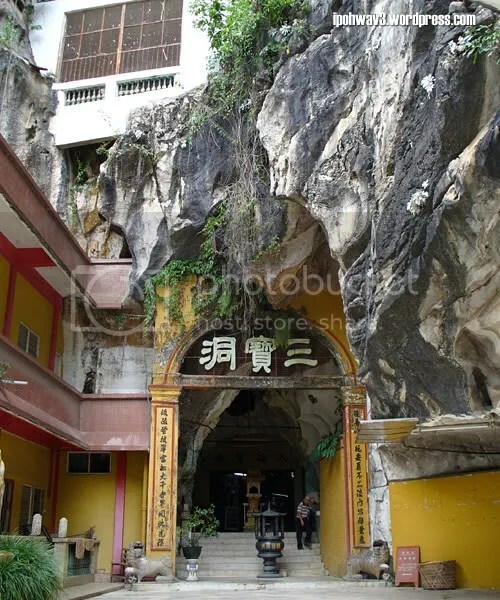 First stop, Sam Poh Tong (Sam Poh Cave). The tall and huge marble arch greeting the visitors. The compound is very quiet and we didn’t see any other visitors probably because it’s not holiday season. 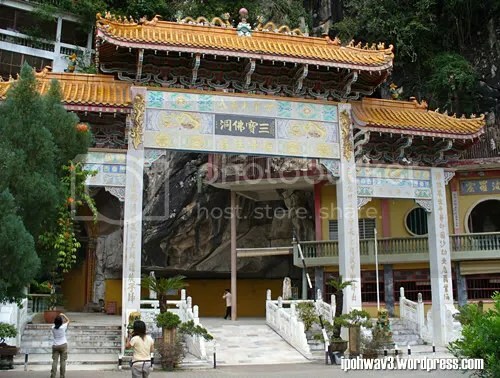 This place will be overcrowded during Cheng Meng (Soul’s Day) where people came to pray for their departed ones. 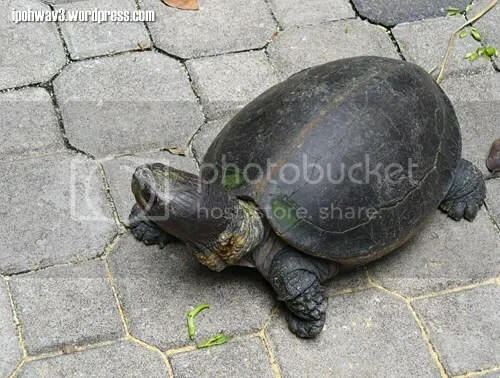 There’s an auntie at the main gate selling kangkung to feed the tortoise. 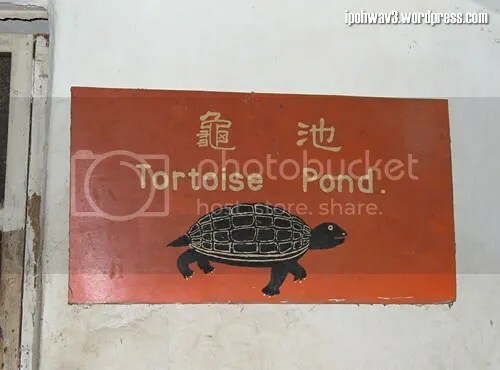 This way to tortoise pond. 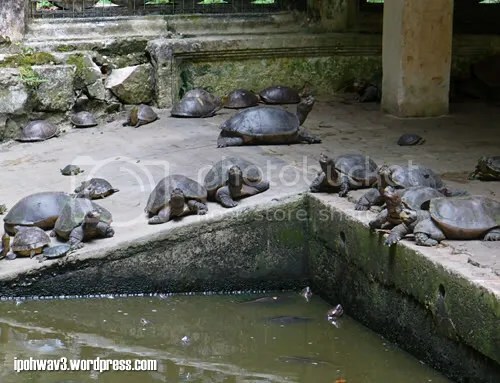 Tortoise pond, finally. 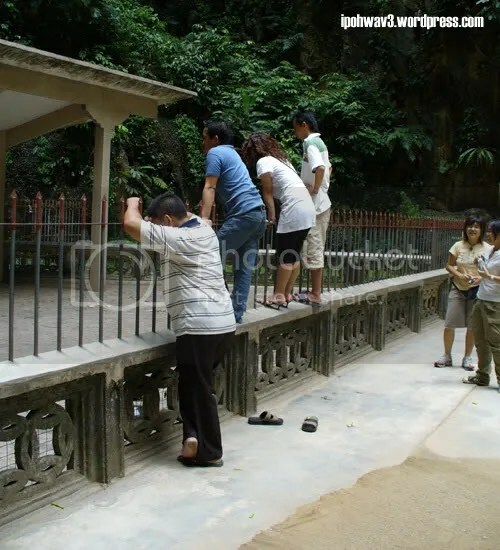 This group of visitors actually climbed onto the fence for better view… See the women too? This one actually came very close to me and not afraid of people. Should have buy the kangkung to feed them. 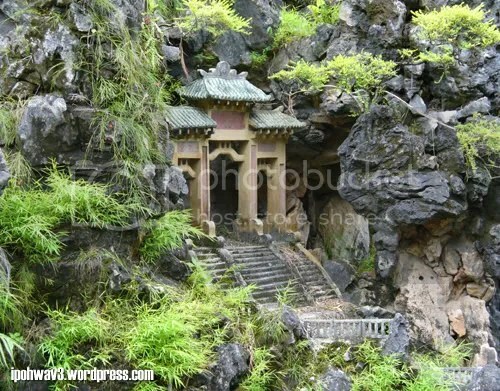 Back to the temple compound with a man-made pond and garden. 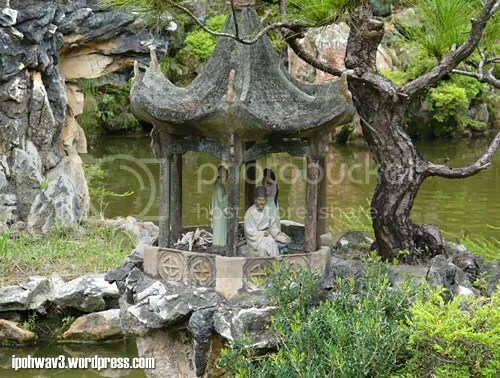 Replicas on the floating islands, as if it’s a scene from those old Chinese martial arts movies. 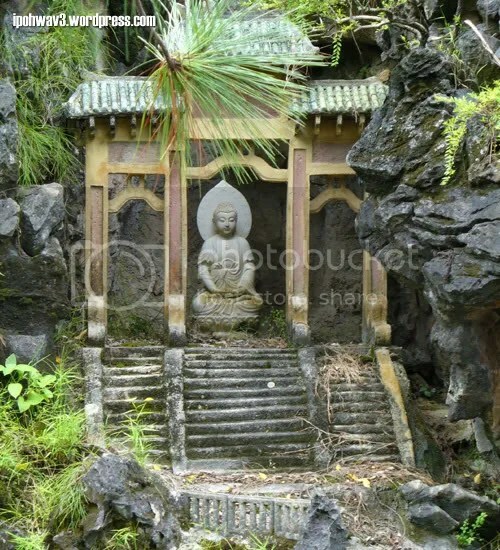 There’s a Buddha statue at the top. 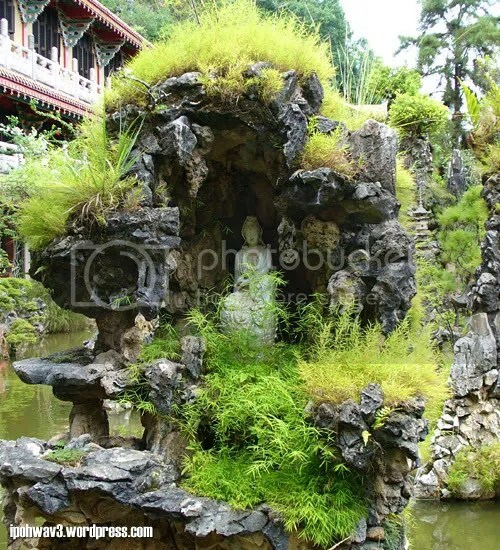 We explored the garden and took some pictures before we move to another temple which is nearby, Lin Seng Tong (Ling Seng Cave). 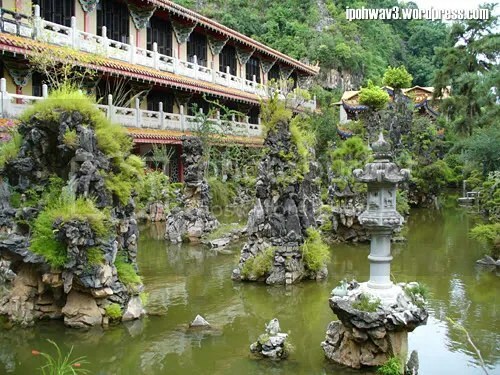 For your information, Sam Poh Tong, Lin Seng Tong and Nan Tian Tong were located at the same area, you could just walk from one temple to another. The girls arrive on 3rd May afternoon and went for some “jalan jalan” (walking) session on their own. I picked the girls at McDonalds at night and thus, began our food hunting for the night! Upon our arrival, we were a bit disappointed cos the lower part of the stalls were closed. 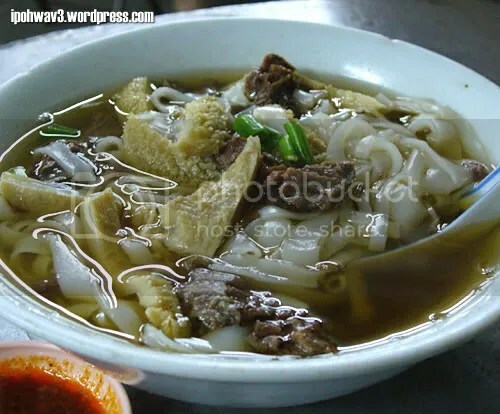 Nevertheless, I parked my car, got down, walked for some short distance while browsing through the stalls and before long, they say they wanna eat beef noodle. 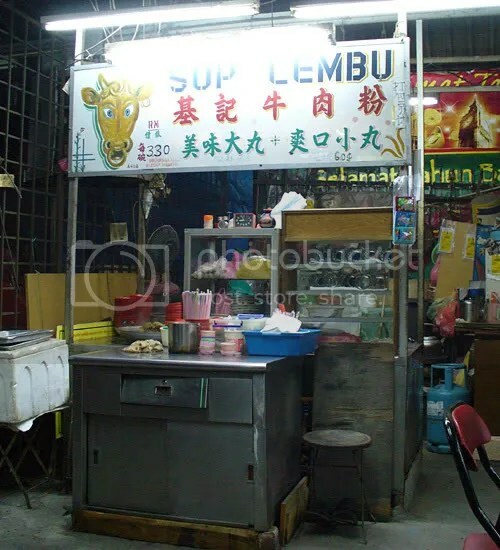 We moved on to another stall for another round of beef noodle! 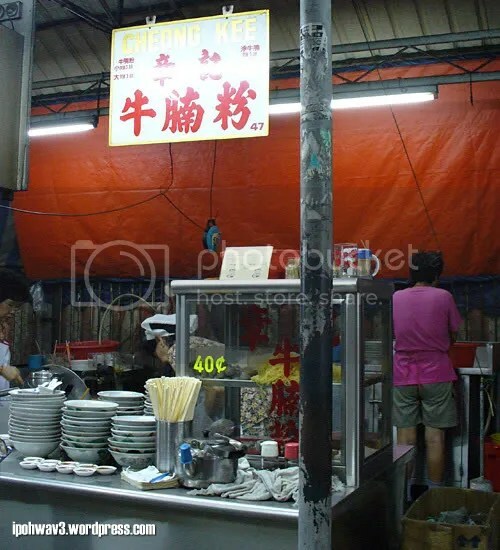 Stall Cheong Kee, No. 47. As usual, the hor fun. Jian was super happy while she’s stirring her “ching po leong”, she found an hard-boiled quail egg! 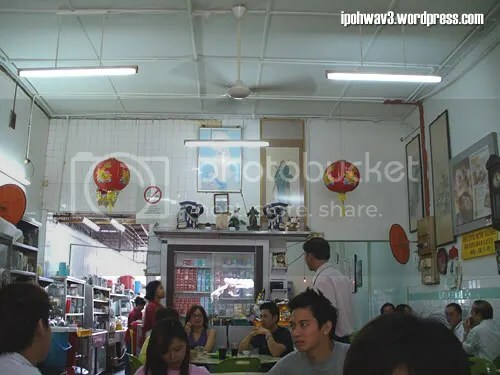 According to her, it’s almost impossible to find that with “ching po leong” in Penang. After 2 bowls of beef noodle, the girls wanna go for something else! Guess that floggers do have a same characteristic: Glutton! 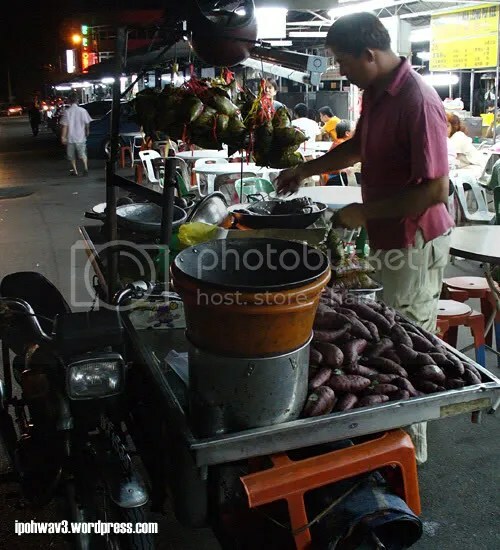 And while we’re walking to the other end of the street… we spotted something exotic… “ubi bakar” (roast sweet potatoes) and meat dumplings on the wheel! 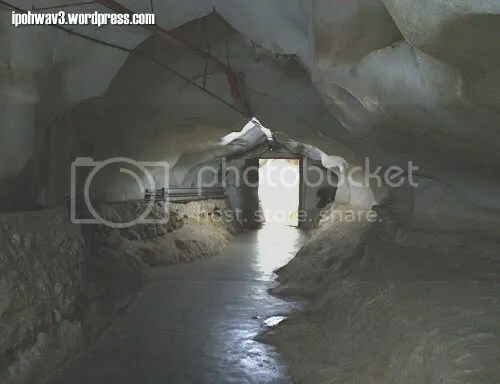 We’re just standing there taking photos… No intention to try them as we wanna save some space in our stomach for something else. 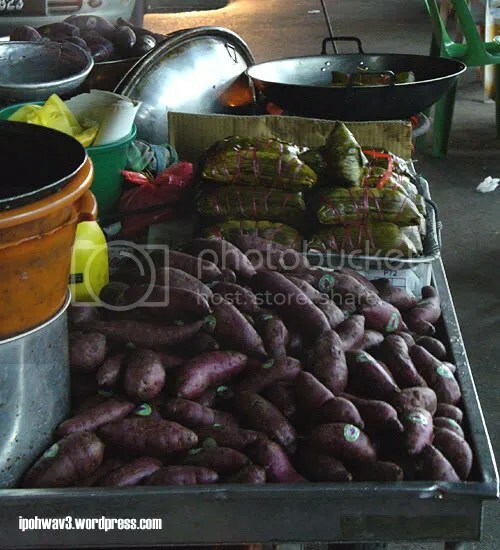 Can you see the piles of sweet potatoes? Someone must be really in love with Manchester United until he/she named this food court Man U. 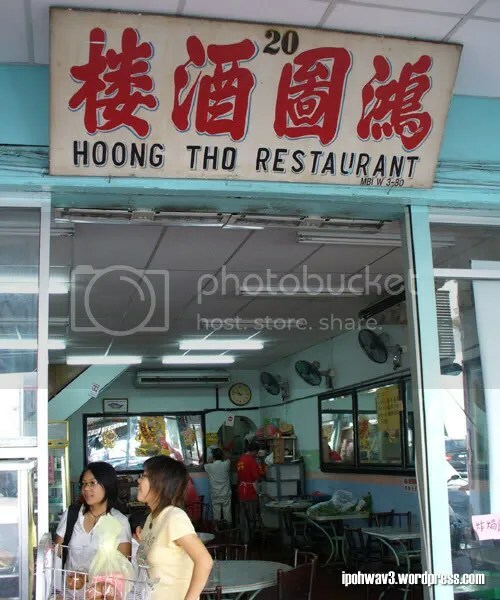 As a Man U supporter, Durianberry can’t resist to take a shot at the main entrance which is just opposite Tong Sui Kai… LOL. 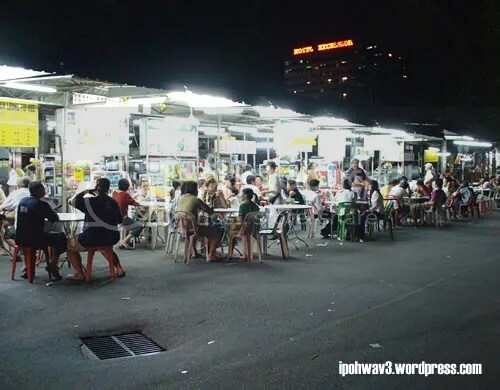 Once you sat down, 2 workers from 2 different stalls will approach you. One is from the usual drink counter while another one with laminated menu is from the dessert counter. You can choose which one you like, no obligation. Since they ordered the ais kacang, I try their Mango Tango. Ice shavings, topped with plenty of mango cubes and mango puree but the mangoes somehow were not sweet enough for my tastebuds. Now’s my turn to have my dinner hahaha. 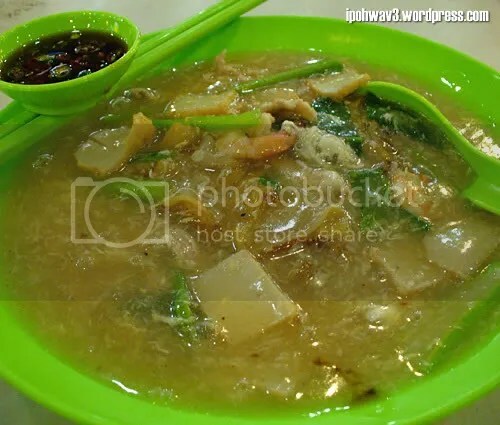 Wat tan hor (fried flat rice noodle with egg swirl broth), some places like KL call it Cantonese style fried noodle. It’s full of “wok hei” (breath of the wok) and yummylicious. Finish everything include the broth! Also ordered the egg skin popiah and glad that they like it. 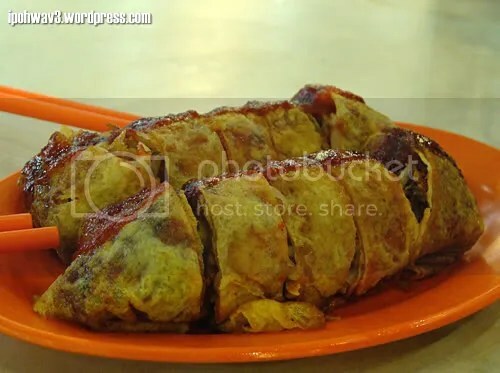 They told me that Penang popiah tend to break loose once you pick them up with chopsticks but this one is wrapped tightly enough and still bursting with ingredients. 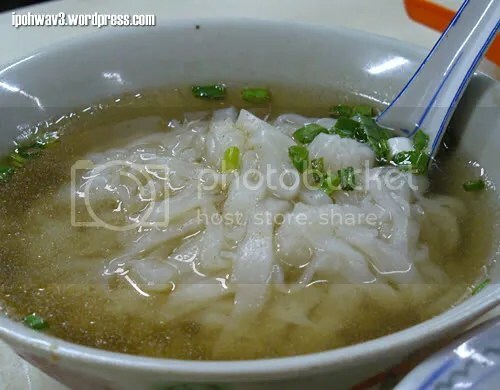 I was tagged by “kah jie” WMW on describing one of my favourite food few days ago. I usually just know how to eat, what to eat and where to eat but now that you ask me “What’s my favourite food?”, I’ll be like “Errr…. wait a minute” or “Darn, lemme think about it”! My answer? Ais Kacang, that’s it. When I was in primary school, I used to went for tuition classes in town at night. My mom’s ex-boss (I just call her Auntie) will come and pick me after my class ended at 10pm, as her house is nearby to my tuition centre. Sometimes, she’ll bring me to Tong Sui Kai for dessert before my dad come to her house to bring me home. As a kid, I like all things associated with ice and peanuts. 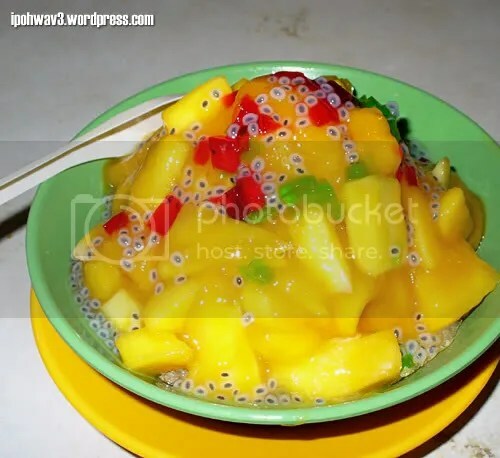 That’s how I started to fall in love with ais kacang until now. 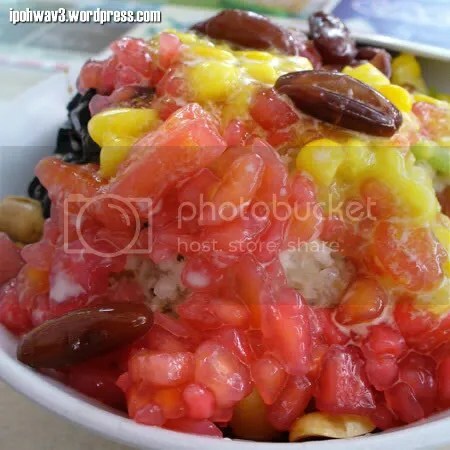 The colourful presentation of the ais kacang mostly are derived from the ingredients used such as grass jelly (black), cendol (green), sweet cream corn (yellow), red bean/kidney bean (maroon), jellies (red, yellow, green), sago(translucent white), peanuts (beige), red syrup (pinkish red) and gula melaka (brown). 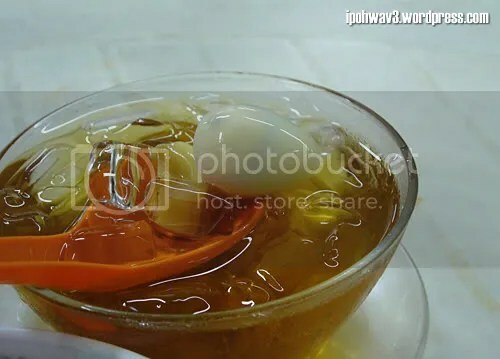 As the ingredients varies from one stall to another, some people also add in attap chee or palm fruit, nata de coco (white), fruits, chocolate syrup and Sarsaparilla (Sarsi) syrup. 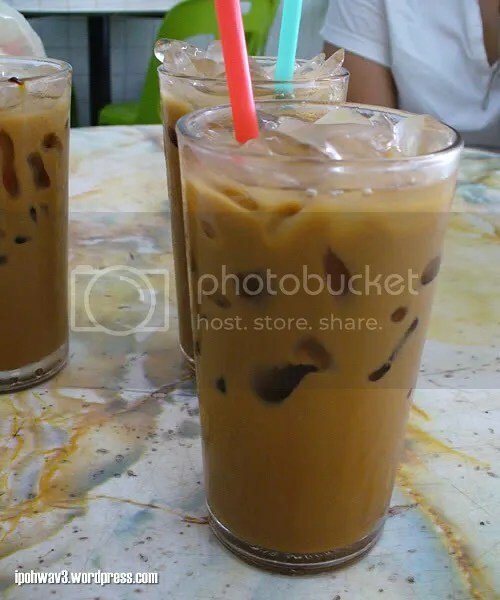 According to floggers from Penang , Jian and Durianberry, you won’t find any ais kacang with gula melaka in Penang as most ais kacang vendors there are using the Sarsaparilla syrup and red syrup. 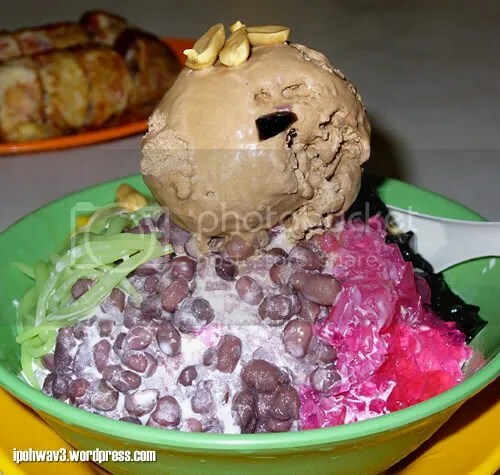 My favourite version of ais kacang would be the one laden with gula melaka and topped with one scoop of ice cream on it. It’s a bliss to savour it on a hot day.